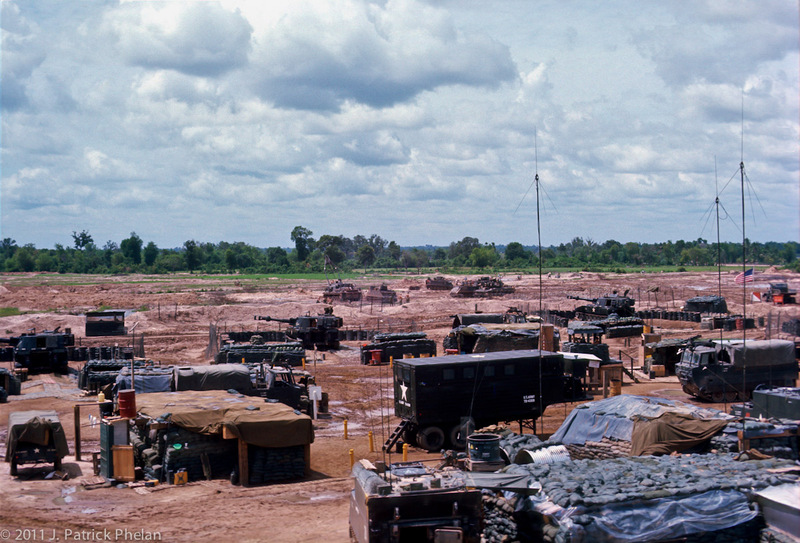 Fire Support Base Hampton at Go Dau Ha, South Vietnam. The 3rd of the 13th Field Artillary has the M109 self propelled 155 mm howitzers in position, across the middle of the picure, at FSB Hampton on the southeast edge of Go Dau Ha, South Vietnam. Section 3, the "Base Piece", is at the far left edge with Section 2 in the center and Section 1 at the right. An M88, with the boom extended, is seen in the distance working with an M113, APC.